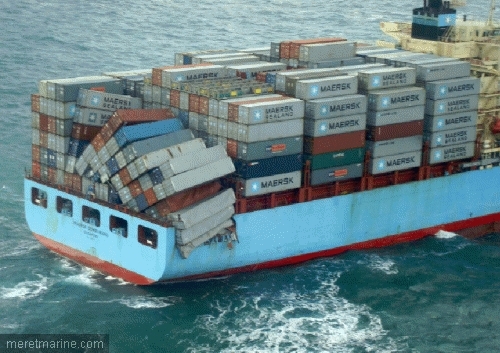 The box container vessel Maersk Sembawang had over 25 containers go overboard and another 50 containers damaged in rough seas in the Bay of Biscay. The 87606 dwt vessel was on route to Zeebrugge, Belguim from asia, but was ordered to Le Havre, France to unload the damage containers. The 19000 ton French chemical tanker Chantaco went aground near Havringe, Sweden. The vessel’s anchor dragged resulting in it grounding. Reports state damage to the ballast tanks and resulting list. No pollution release was reported. The Chantaco was bound for Oxelosund, Sweden from Riga, Latvia.